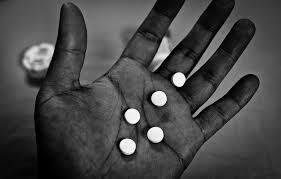 Hydrocodone addiction is a devastating disease that affects millions of people. Even those who have been prescribed Hydrocodone and are unsuspecting and not looking to take the medication for the purpose of getting high often find themselves stuck in the rut of addiction. The signs of Hydrocodone addiction are often easily recognizable but you may overlook them if you’re not exactly sure what to watch out for. Learning to recognize the signs of addiction so that you know when it’s time to seek help! People who take Hydrocodone and become addicted will often take excessive amounts of the drug in an effort to remain high or to fulfill their intended obligation or desire to get high. This is one of the first signs of Hydrocodone addiction and the easiest to spot for the user but it is often overlooked by outsiders. Do you still take part in activities that you enjoy such as spending time with family or friends, playing sports or socializing? One of the many signs of Hydrocodone addiction refers back to a lack of interest in hobbies, recreational activities, family or friends that occurs when a user is addicted. Sacrificing social or recreational fun for the sake of getting high is a true sign of a problem. What happens when you run out of Hydrocodone? Do you ever run out? Keeping a stash or a steady supply of Hydrocodone or allowing your life to revolve around finding and using Hydrocodone is a sure sign of addiction. How much hydrocodone does it take for you to get “high?” Is it more than you originally started with? Tolerance is one of the most common signs of Hydrocodone addiction that occurs almost as soon as the addiction begins to set in. Often times, Hydrocodone addiction will cause the user to make commitments to quit or to take less of the drug with good intentions to follow through on their word. Unfortunately, the addiction causes a lack of control over the drug use which results in lies, broken promises and increased use. Consequences such as health problems, legal troubles, financial troubles and relationship problems often arise as a result of using Hydrocodone. If a user is aware of the implications of their drug use and yet chooses to take part in risky drug use behavior regardless of the risks addiction may be the culprit. Shakes, upset stomach, nausea, diarrhea, sweats, insomnia and a number of other withdrawal symptoms often occur when a user is addicted to an opiate and stops taking the drug. Withdrawal symptoms are one of many common signs of Hydrocodone addiction that a user will recognize when he or she attempts to quit. Spending too much money, spending bill money or stealing money to provide for a habit is a sure sign of Hydrocodone addiction. Financial problems often arise when an expensive habit such as Hydrocodone use is to blame. Spending time with different groups of friends, avoiding family, wasting time on the hunt for more drugs, all of these situations can lead to relationship problems. One of many signs of Hydrocodone addiction is the presence of relationship struggles that result from the use of this opiate painkiller. Getting arrested for possession of a controlled substance, being placed on probation for drug use, getting in trouble for DUI as a result of driving while intoxicated on Hydrocodone, all of these situations can occur when a user is taking this drug. The true sign of Hydrocodone addiction comes when such legal problems result and the user continues to take the drug despite the known problems that the drug use is causing.